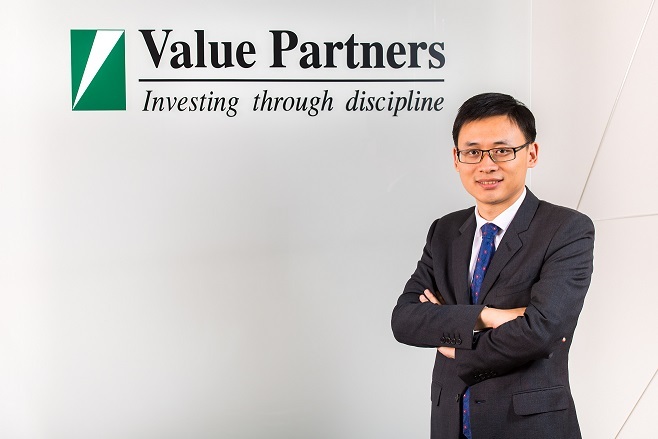 We are pleased to announce that Mr. Yu Xiaobo is appointed as Value Partners’ Head of China Business in early-June this year, in addition to his current role as Investment Director. Mr. Yu joined Value Partners (the “Group’) in 2009. He specializes in investment research and portfolio management in the Chinese market and the Greater China region. In his new role, he is responsible for making management-level decisions for the Group’s China business and lead the investment research and business teams in Shanghai and Beijing (“Value Partners China”). Prior to joining the Group, Mr. Yu worked at PricewaterhouseCoopers and China International Capital Corporation. Mr. Yu holds a Bachelor’s degree in Business Management from the University of International Business and Economics and a Master’s degree in Business Administration from Cheung Kong Graduate School of Business in China. With the support from his team, Mr. Yu will continue to develop the Group’s onshore and cross-border businesses while exploring other business opportunities. Looking forward, Value Partners China will actively develop various investment strategies targeting institutional investors and professional investors in China, thereby creating value for its investors. Q: Hello Mr. Yu, can you share with us your career journey in the investment world? A: Sure. I joined Value Partners’ Shanghai investment team in 2009. Over the years, I have worked in different roles including senior analyst and fund manager. I was transferred to the Hong Kong headquarters and I am currently the Group’s Investment Director and Head of China Business. My core responsibilities include investment research and portfolio management in the Chinese market and the Greater China region, as well as leading the business and operations of Value Partners China. In terms of investment portfolio management, I manage several Greater China funds, European and US pension mandates, as well as A-share portfolios and a health care fund. I am also supporting our Chief Investment Officers to manage our flagship Greater China fund. Value investing is the key to Value Partners’ success over the past 20 years. Today, the value investing philosophy is well-recognized by Chinese investors. I was fortunate to witness and be influenced by the beauty of such philosophy and investment discipline throughout my career with Value Partners. We strive to deliver long-term stable investment returns for our investors. Q: Value Partners is one of the first foreign fund companies to enter the Chinese market. What are your business strategies for China? A: Value Partners first built its investment research team in Shanghai back in 2009; two years later, we set up a WFOE (Wholly Foreign-Owned Enterprise) and established our Beijing office in 2013. We are also the first Hong Kong asset management company to be awarded the QDLP (Qualified Domestic Limited Partner) license. With the support of the Hong Kong headquarters, our China team has grown sustainably since 2009. We plan to develop a wide range of product solutions for our mainland investors to meet various asset-allocation needs. In Hong Kong, Value Partners has achieved remarkable long-term results and enjoys a prominent brand reputation. Going forward, we are committed to provide services of the highest quality for our investors in China. Looking forward, Value Partners strive to strengthen its foothold in the mainland China and re-invest our earnings into the continuous enhancement of the team’s capabilities. We will embrace the exciting opportunities ahead and strengthen our relationship with local distribution partners. We believe that one day, Value Partners China will become one of the most recognizable Chinese brands. Q: Would you please introduce your team? How do you define your team’s strength? A: Thanks to the supports by the Group, we have established a localized team with about 20 staff members, including investment managers and analysts, sales specialists, compliance and legal professionals, operations and administrative executives. We have an experienced and close-knit investment team, in which all members have solid track record in company research and analysis with a focus on Chinese companies, A-share and Hong Kong-listed companies. All investment team members constantly share information with each other to ensure efficient and effective coverage in our investment research. The roles and responsibilities of our team are well-defined, so as to be transparent and ensure our investment procedures are in compliance with regulations. Meanwhile, the lead portfolio manager is responsible for reviewing the sector allocation and stock holdings of our investment portfolios. The team’s strength lies in its ability to uncover investment opportunities that are neglected by the market. We are familiar with China’s investment landscape and are able to achieve superior risk-adjusted returns across different market cycles, based on our proven track record. Investor communications is at the heart of our business. To ensure that we understand the asset-allocation needs of our customers, we have been maintaining a close dialogue with our institutional investors and distribution partners. As always, we will continue to maintain close ties with our Hong Kong headquarters and share our resources, investment ideas and expertise. We are committed to provide the highest service quality for our investors.